I am installing a locker bypass in my TJ Rubicon. 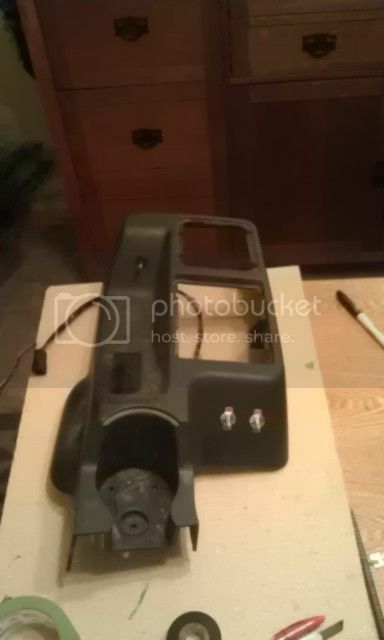 This will allow me to flip a switch to lock the front, or flip a switch to lock the rear when I choose. 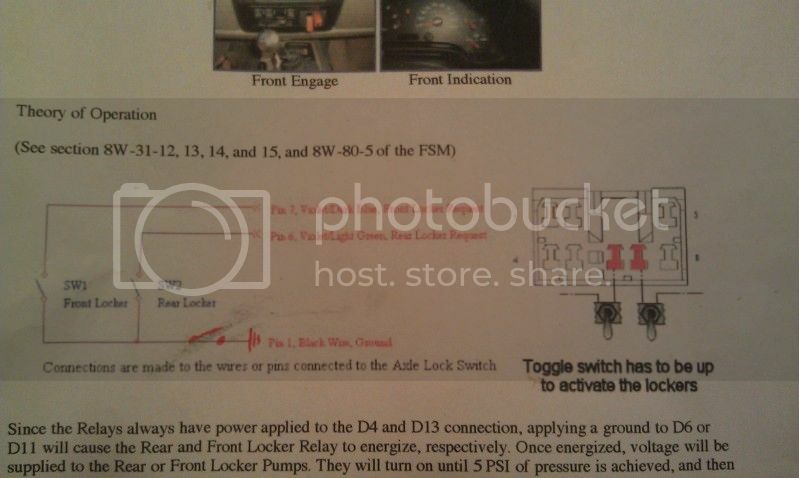 In a nut shell, all you do is locate two wires in the dash (a front locker request and a rear locker request) and ground them out to send a signal to the respective locker relay. Install a toggle in line of the ground path to control when each locker will engage. Piece of cake. I have successfully wired in two switches that can control either locker, whenever I want. Since nobody wants to accidentally engage the front locker at 80 mph, I also included a master ground interrupt that would prevent accidental engagement when switched 'off'. The master interrupt is located away from the locker switches in front of the t-case lever. 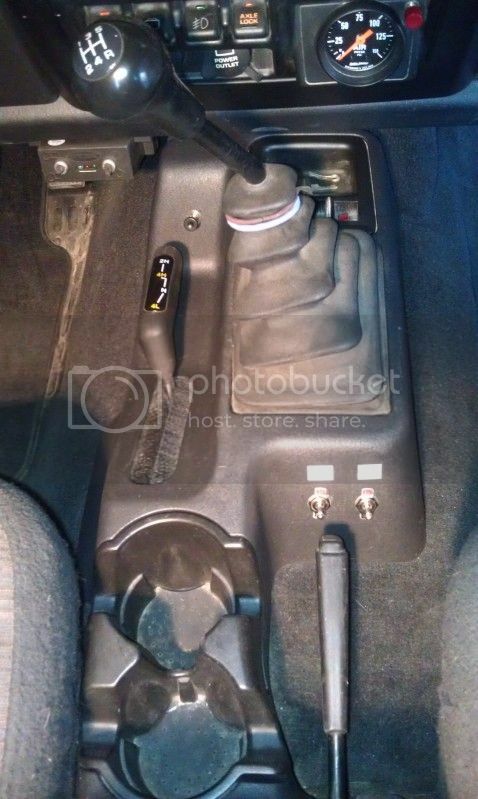 The front and rear locker switches are in the foreground next to the cupholder. Now for the problem I am having. The master interrupt switch has a red LED that should illuminate when switched 'on', even if the lockers are not engaged. I view this as another safety device that would notify me that the locker bypass is activated and either locker can be engaged. I cannot get this to function how I want it. Since the light is a separate circuit from the locker system, I am sending it ignition power. Either the light doesnt illuminate or it pops the ignition power fuse. When the switch is flipped on, the fuse blows because the light (+) is contacting the (+) for the locker relay. I really don't see a way around this, unless there are switches out there that allow a built in indictor light to be on a completely different circuit than the one the switch is interrupting. I had an idea but am pretty sure I am completely wrong. You're dealing completely on the ground side of all of this right? Why not get a separate indicator light, and a regular switch with no light, wire it in to where the light has constant power, but interrupts the ground when you shut the switch off so the light comes on and off with the switch? I'm not sure if you could get a switch with an LED to work on the ground side, because the way those are setup is a spade for power in, spade for power out, and a spade for ground which controls the LED light in the switch. Unless they make others that work a little different, but those are the only kind I have ever come across. Yes, I am primarily working with grounds in this set up. I searched 'till I was blue in the face for an 'easy' solution. I failed. Since a toggle switch is easy to bump, I replaced the interrupt toggle with a push-pull (pull on) switch. It is out of the way and kind of a pain to pull with the Jeep in 2wd.